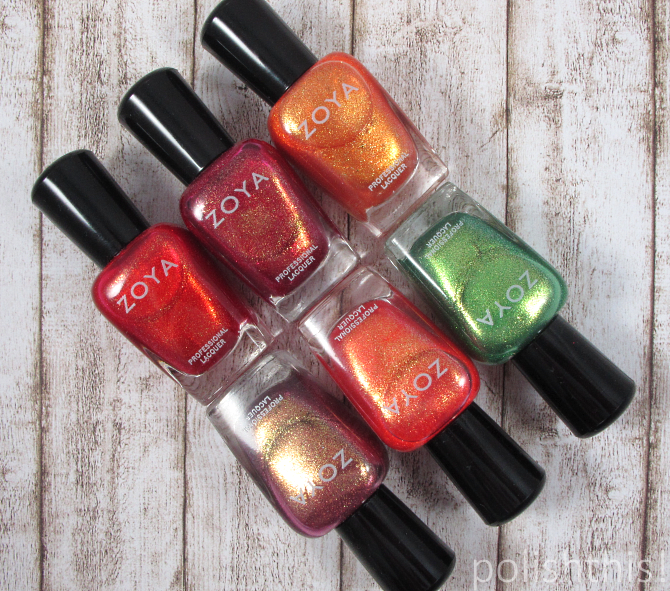 Zoya Sunshine Collection - Swatches and Review - Polish This! I have a little bit older collection to share with you guys today! 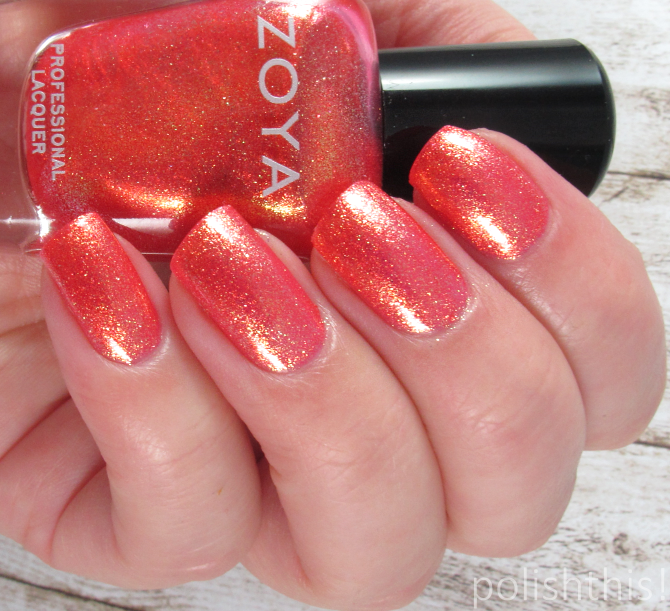 Zoya Sunshine is the shimmer part of their 2011 summer collections, so it's already a few years old but it sure deserves to be shared still. I really love this collection and I have gradually gotten all the six polishes. When I realized I have all the six polishes, I thought I should share my swatches of them as you can still easily buy these. The collection has six beautiful metallic shimmers in it and all the six colors are filled with gorgeous golden metallic sparkle. Faye is one of my all time favorite polishes, it's a stunning purple mauve with insane golden sparkle. It's also a bit on the sheer side, so I used three coats here. I really really love this color, it's really chic but surely not in any way boring. Kimmy is a beautiful red with golden shimmer. This has slightly different formula and the base color has more coverage, so I only needed two coats here. It's a bright, almost cherry red and the golden sparkles make it look like fire. 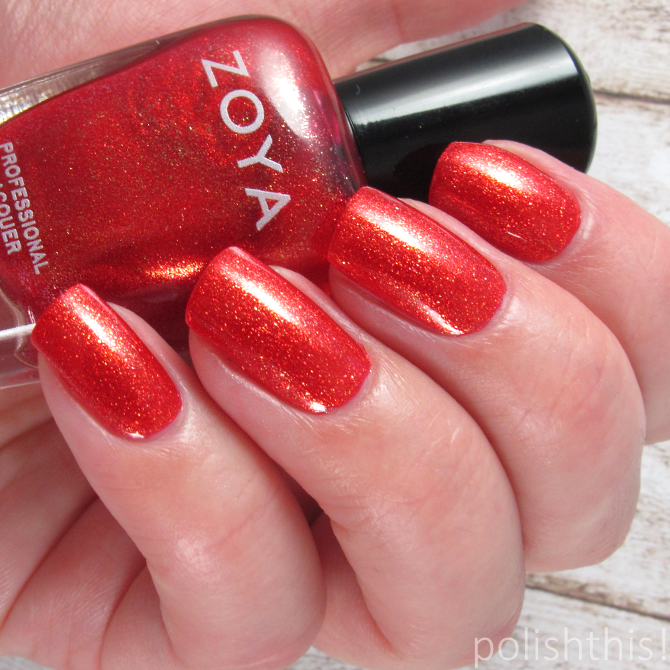 Red and gold combined is something that usually is associated with Christmas, but not with this polish. 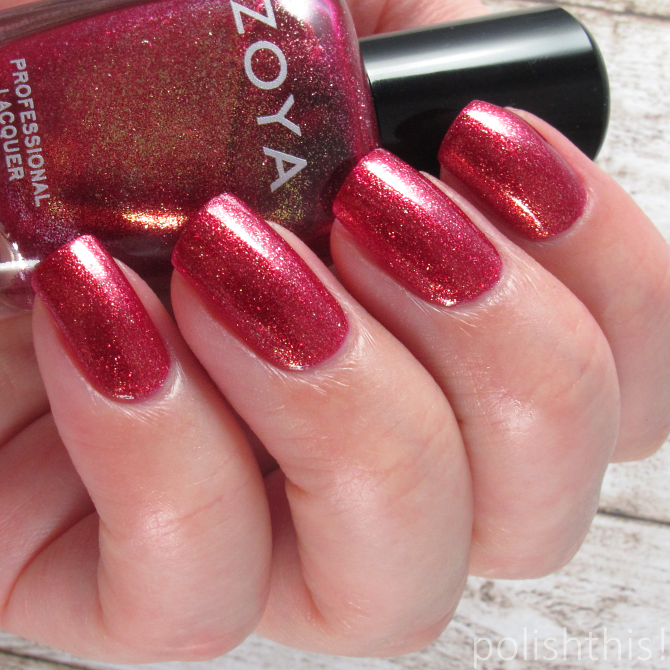 Reva is rich raspberry shade with plenty of that same golden shimmer. It has similar formula as Kimmy and it only needed to two coats for full coverage. I really love this one too, it's such a beautiful stylish shade! Rica is the one that was a little bit more hard to find for me. It seemed to be always sold out everywhere. Thankfully I finally managed to get it as it's truly a stunner! This might even be my favorite out of this collection. 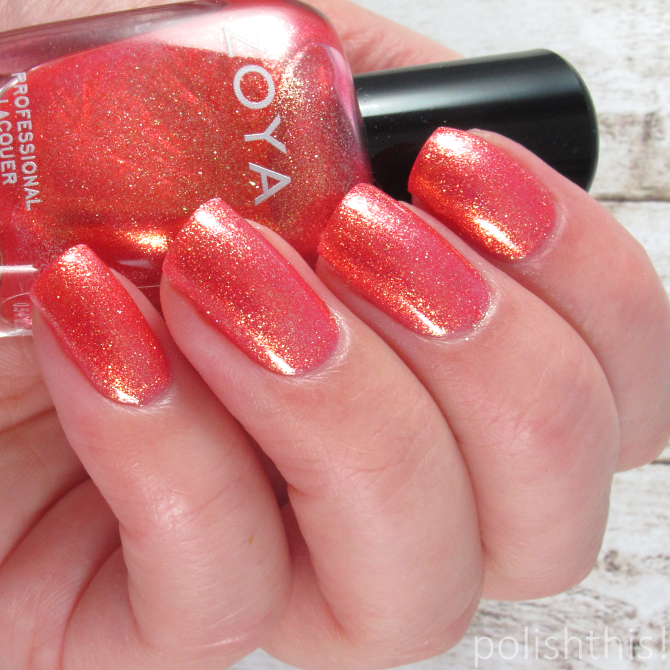 It's a beautiful coral pink with plenty of that golden shimmer. It's also a bit sheer, so I used thee coats here. 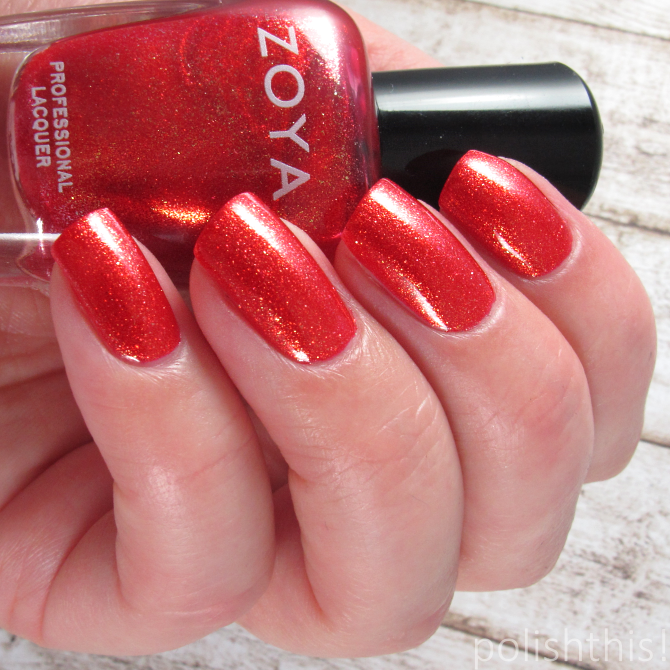 Tanzy is the last one of this collection and it's actually one of my first ever Zoya polishes so I have owned this one quite a while already. 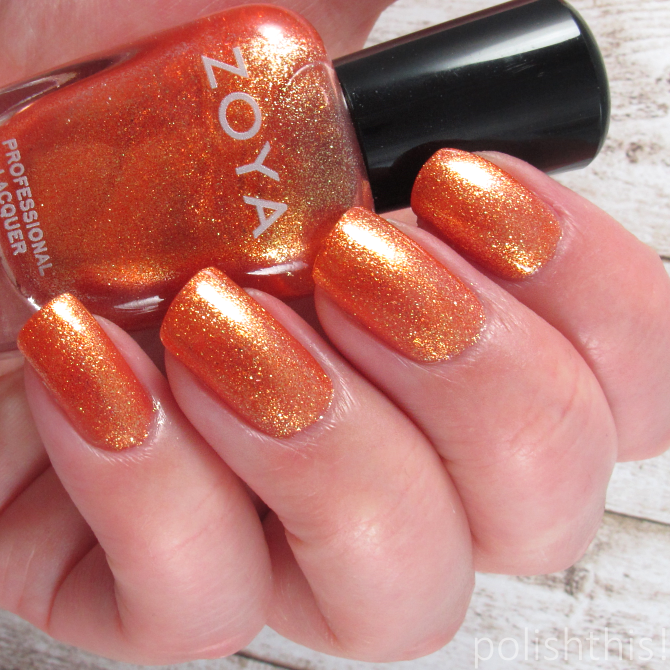 It's a bright tangerine orange with the same golden shimmer. It's not the best match with my skintone, but it's a gorgeous orange nonetheless and a beautiful summery shade. This is surely one of my all time favorite collections, maybe even THE favorite summer collection so far. 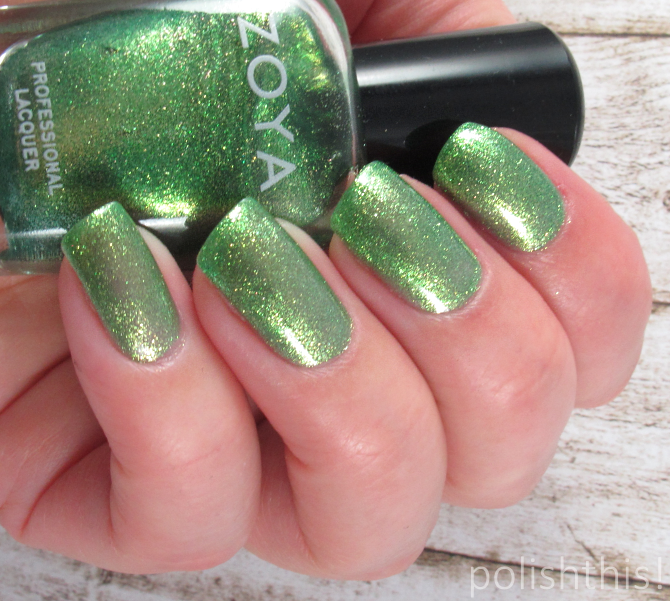 I love these type of metallic shimmer Zoya does so well, all the polishes look like they are shining from within because of the beautiful shimmer in them. I also really love the fact that even these older collection polishes are still available, so if you want any of these, you can find them easily. Wonderful collection. 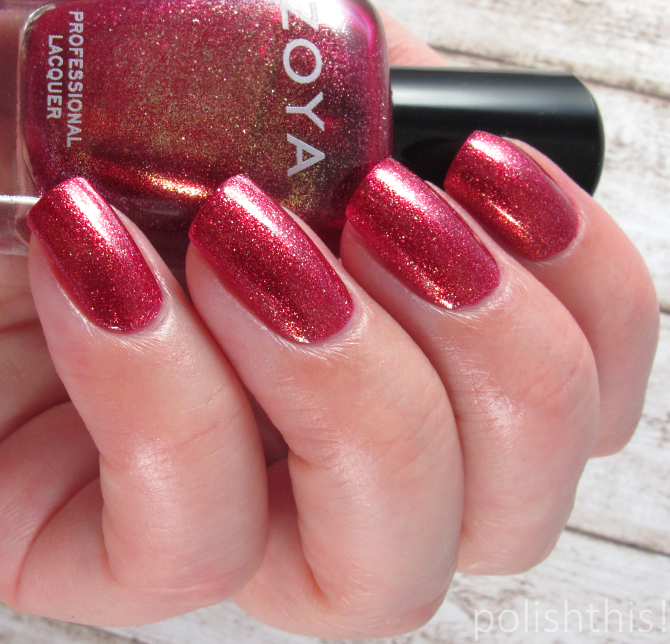 I am not a fan of Zoya but I think I will buy only Kimmy and Reva because I had other colours from russian brand NailLook. NailLook has same type collection called Organza, you can see photos in my blog http://ecat-world.blogspot.com/2015/10/organza-naillook.html but there is no red or crimson colours. This is a really good collection. I hope they do something similar this year.